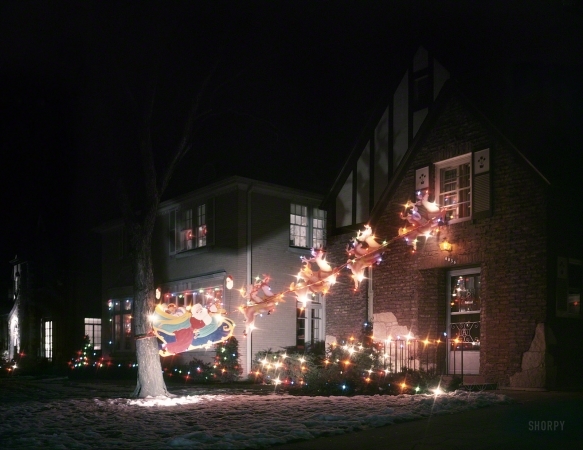 Color transparency from photos by Jim Hansen and Bob Lerner for Look magazine. December 1953. "Outdoor Christmas decorations."